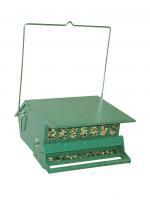 If you want squirrel proof this is the feeder for you. It's fun to watch them slide off onto the ground! 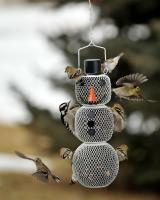 This is the best bird feeder I have ever owned. It's worth every penny!!! This is a good Product. I am very happy with it and so are the birds. I will buy more items from this company. 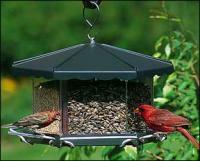 This is a nice product to have for the birds. We have finally "baffled" our squirrels! Great feeder. Holds lots of seed. But make sure you order the skirt if you pole mount. Our squirrels figured out how to climb the pole w/ in minutes. Vaseline took care of that ( and it was pretty funny to watch them slide), but who has time to grease a pole every day?